Consuming dried cannabis buds by grinding them up and rolling them into a joint has been a tradition for centuries, and although this method is a classic way to enjoy marijuana, research shows it may not be the best option for your health. The same study also claims that “…far lower risks for pulmonary complication [exist] from regular heavy use of marijuana, as compared with the grave [risks that exist with] tobacco.” In other words, smoking cannabis seems to be safer than smoking cigarettes, which is of course brilliant news for those who really enjoy smoking pot and would like to continue. 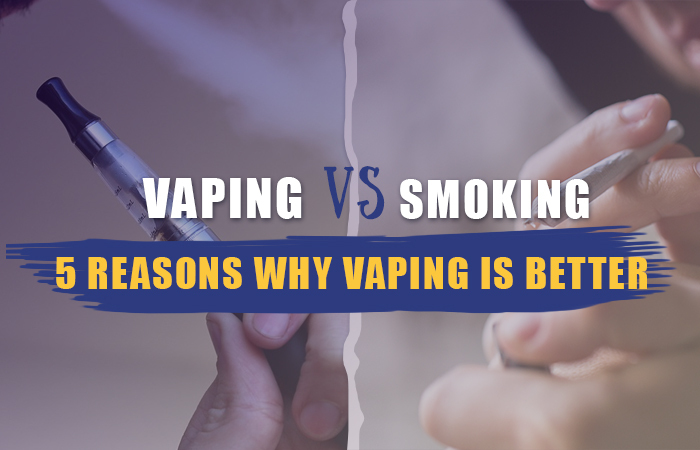 Nevertheless, the safety of vaping marijuana does seem to trump the safety of smoking, but aside from protecting your health, it appears that vaping is also a “more advantageous” choice for other reasons.